Raku is in the H-O-U-S-E! 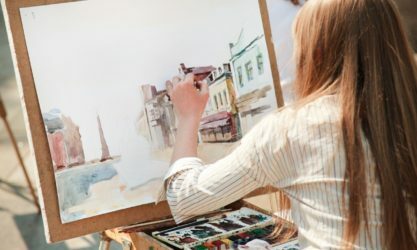 Being unique in the creative arts world is a feat unto itself worth mentioning, yet to do so to such a degree of excellence and beauty that time itself pauses still and takes notice – is near legendary. Such is the timeless, beauty of Raku pottery, whose centuries old tradition still continues to this day, revealing itself in the most spectacular and beautiful fashion! In that proud tradition that honors the spirit of excellence that is true of Japanese culture, a culture so beautifully showcased in its signature form of art – Raku, the Creative Arts Studio of Royal Oak, Michigan is proud to present Raku Pottery to the public! 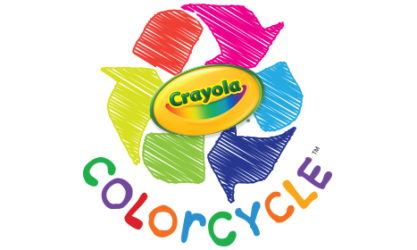 Here, at our studio/gallery in the greater Detroit area, hobbyists and art enthusiasts everywhere can embrace this historical tradition and discover the timeless techniques of this rare, exquisite form of art. Students who are interested in our Raku Pottery classes will learn a craft that has been passed down from one generation of artisans to another, embodying this time-honored custom in the best traditions of Japanese art. The Creative Arts Studio is excited to share this ancient tradition of the arts with art enthusiasts everywhere and now, makes it available to our friends and neighbors in the community to discover for themselves. The Creative Arts Studio invites you out to experience Japan itself, through enrolling in one of our Raku Pottery classes! 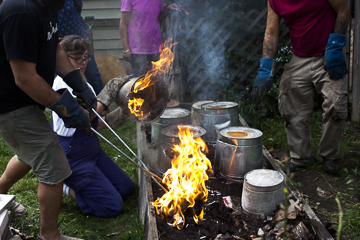 Our seasoned staff are passionate practitioners of the creative arts and teach students the traditional techniques still being used today to create Raku Pottery’s signature aesthetic appeal. 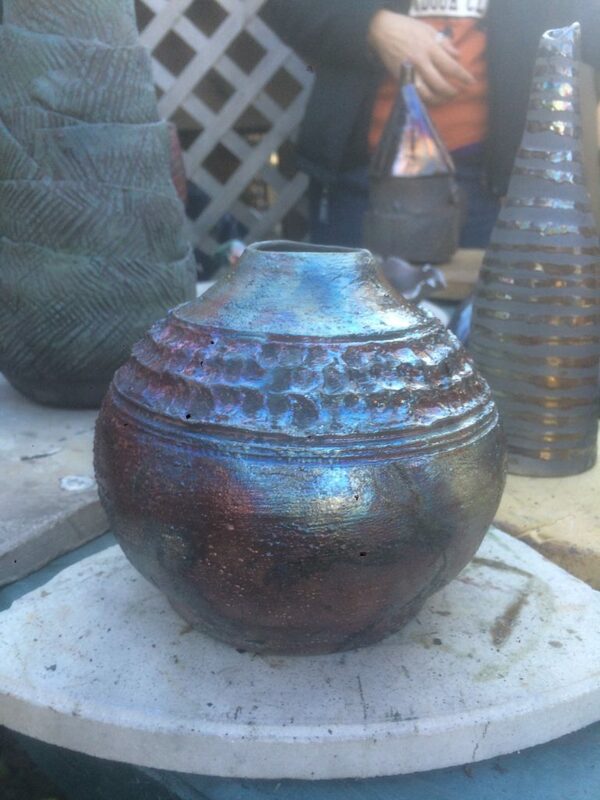 Students who enroll In the Creative Arts Studio’s Raku Pottery class will experience a hands-on interpretation of the art, and have the opportunity to create and design a Raku piece of their own! Raku pottery dates back to 16th century Japan, and the firing technique has changed very little since. The process begins by creating a piece out of clay and firing it once to turn it into a bisque ware piece. Once the piece is in this bisque stage, the Raku glaze can be applied. 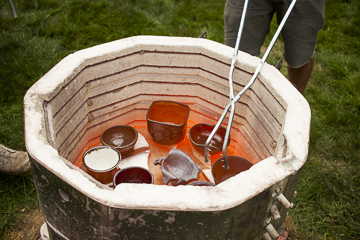 Raku glazes are specifically formulated only for this firing process. 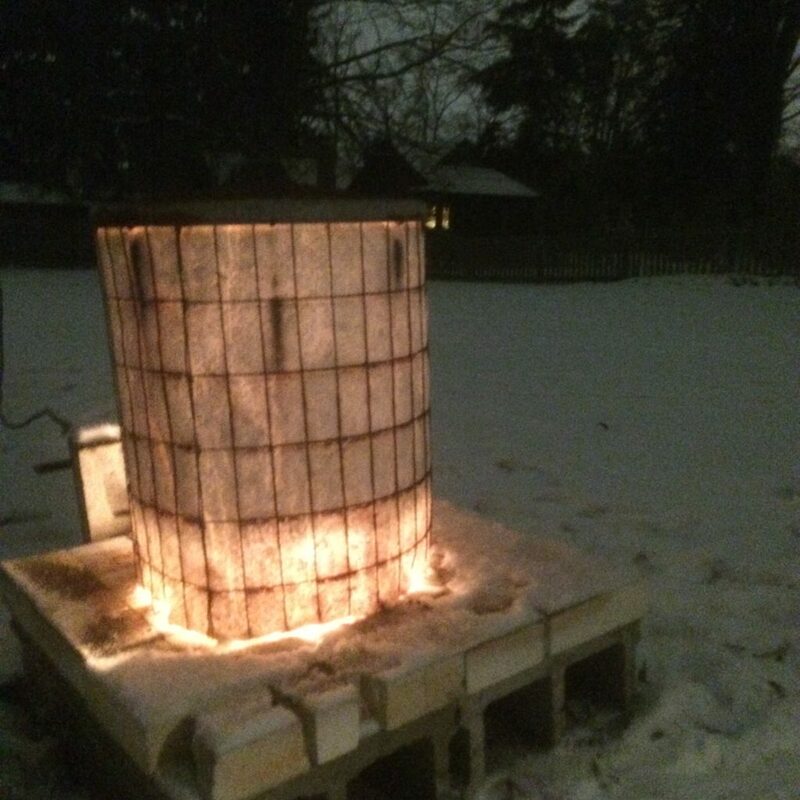 The firing process begins by heating the pieces up to 1,800 degrees in the Raku kiln. Once the pieces reach peak temperature, they are carefully pulled out of the kiln using tongs. At this stage, the pieces are so hot that they glow a bright orange. 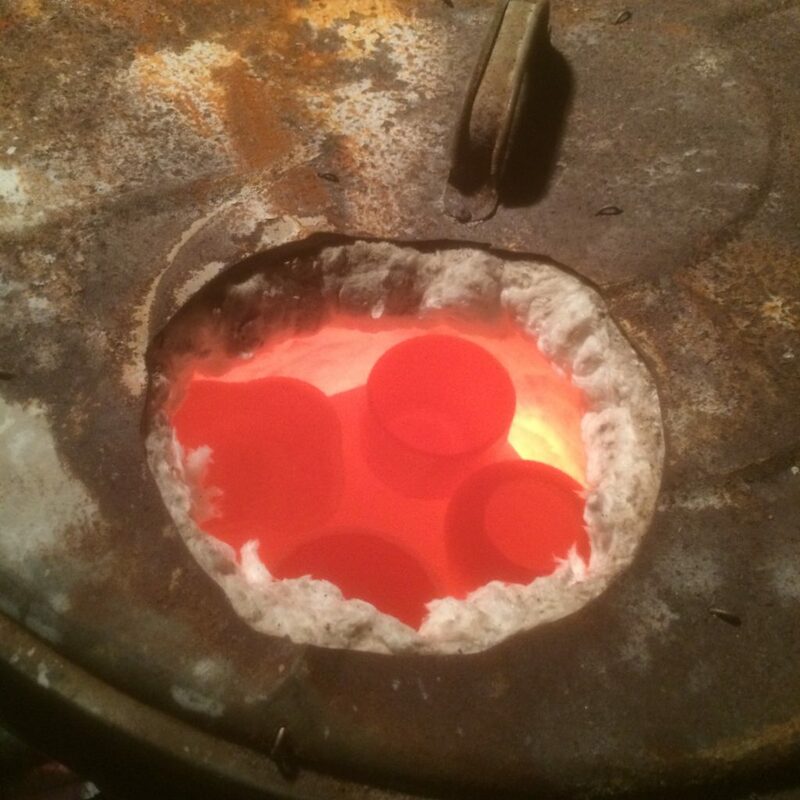 These super hot pieces are then placed in reduction chambers so that the glazes can set. Reduction chambers are cavities filled with combustible material that are tightly covered. This is done to reduce the amount of oxygen and increase the amount of carbon that the pieces are exposed to as they cool. All of these steps create the brilliant flared lusters and trademark crackles that make Raku pottery so unique. The Creative Arts Studio is thrilled to share this timeless form of traditional Japanese art! Come experience for yourself, the beauty of a vibrant culture that has outpaced it seems, even time and technology themselves. In a culture caught between the modernized move “forward” and the timeless traditions that still holds them to their proud past – Raku Pottery is a beautiful bridge between both worlds. Come experience for you and yours, the best of both the modern and ancient world with Raku Pottery taught in the traditional, Japanese form of the art at The Creative Arts Studio! If you’re an observer of trends, then you’ve most likely heard the phrase: “…that person is cut from a different mold.” This catchy cliche is a way of saying ‘that individual is unique and in a class of his/her own…’ The phrase also has an even more defined secondary meaning: the activity and artistry of molding clay into works of art with one’s own hands! 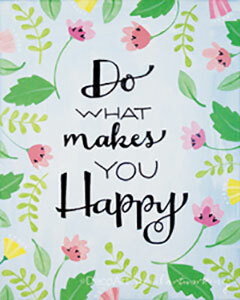 Here at the Creative Arts Studio in the town of Royal Oak, Michigan, we welcome you to bring a friend out to our do-it-yourself art studio to attend some of our clay hand-building classes! The Creative Arts Studio recognizes that just as hand-built clay mold creations are as unique as the potter who created them, so are the individuals who are cut from a different mold – in a uniquely, different class than their co-equal counterparts. Here, at our Royal Oak, Michigan studio, we see this uniqueness demonstrated daily with each new piece of hand-built, hand-painted pottery we proudly display in our studio gallery. 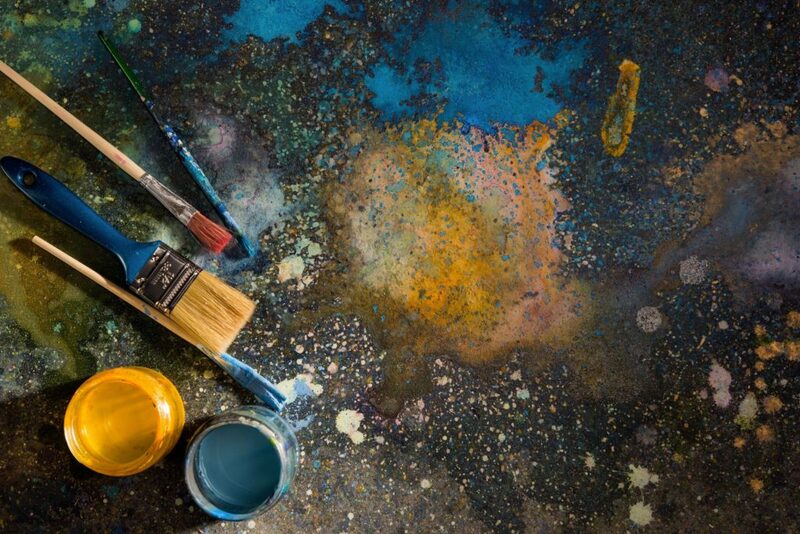 To embrace the unique characteristics of each work is to give homage to the creator who hand-built the piece with his/her hands, pouring passion, personality, and promise into their art. 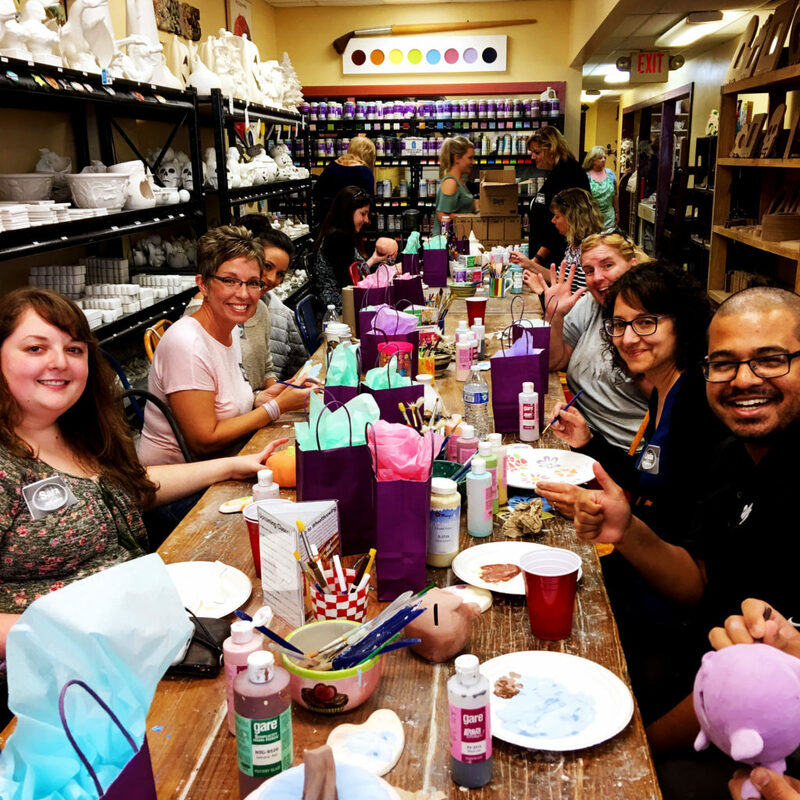 It is to this that the Creative Arts Studio offers hand-built clay classes – so you too can express your inner artist, just as those who are cut from a different mold! People of this class and sort are often the movers and shakers of society, who plot new paths of progress for humanity to embark upon. These are the visionaries among us who build businesses from scratch, then forge them into companies that give back to the community through employment opportunities, services, charitable causes and philanthropic endeavors. 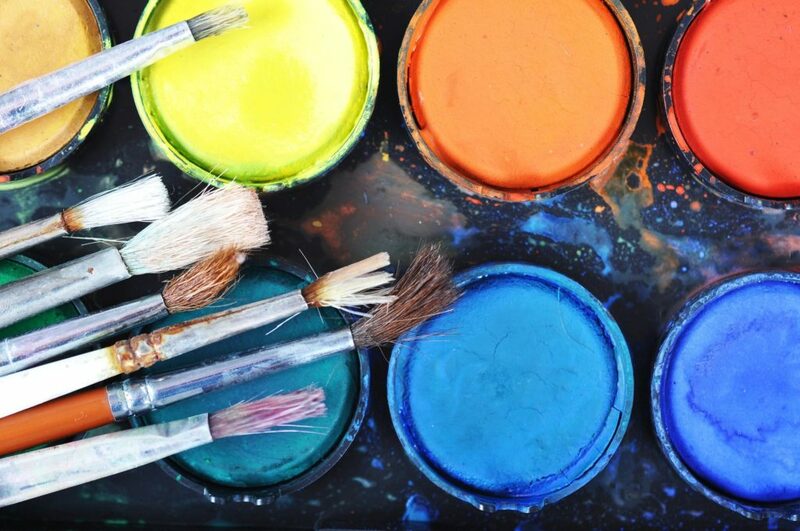 The Creative Arts Studio believes that through the sharing of art, in all its various forms of artistic expression – is giving back to the community in unprecedented ways as new generations pick up the torch and take up the arts. Just as in life, so as in art; we can be just as unique and different in our artistic expressions. Through our art, we can give back to society through imparting some seed of inspiration or communicating some higher ideal through our artistic voice. We welcome you and yours to unleash your inner artist here at the Creative Arts Studio, where being cut from a different mold is a beautiful thing! Come and bring a friend or your family to attend one of our hand-built clay pottery classes, where you can form, mold and paint to your imagination’s creative contentment! Private one hour of personalized instruction, Fields trips or Scout Outings are available. Learn how to hand-build using coils, slabs, or pinch pots! Come with a project idea or we can provide one for you!